4-4-6-2 is a bubble of breathing bliss – in less than five minutes let go of holiday stress and anxiety. I discovered this breath exercise from Drs. Brown and Gerbarg who wrote “The healing power of the breath.” It is simple and effective. I use it in all situations when I can feel my breathing getting constricted, that tightness in my chest and knot in my stomach when I am feeling terribly uncomfortable or anxious. 4462 relates to the rate at which you breathe. You inhale to the count of 4, hold the breath gently for the count of four, exhale for the count of 6 and hold the breath for the count of 2 and repeat four times. It is like getting a shot of instant relaxation – a ball of breathing bliss. Breathe through your nose. Be gentle, go slowly, breathing from your belly allowing it to expand like a balloon on each inhale. The breath is balanced, it is one of the best breathing exercises I have found that quickly calms the nervous system and significantly reduces anxiety. I taught this to a lovely woman as we waited to ride in a tiny elevator in London. I could see how nervous she was and asked her if it was ok to share this with her, she has never looked back. You can use this exercise anywhere, walking the dog, going to see family, ahead of stressful meetings, when you need to ride in a tiny elevator, family vacations anywhere that you need it. Your brain can’t freak out and count! I am going to assume you are sitting down but you can practice this anywhere. Sit with you back straight, lengthen through your spine from tailbone to crown. Allow your shoulder blades to glide down your back. Close down the eyes if this is comfortable for you. Breathing through your nose exhale all your breath out. Repeat this 4 times, this should be enough to activate your parasympathetic nervous system, and reduce your anxiety allowing you to feel a greater sense of calm. Use as many times through the day as you need it. 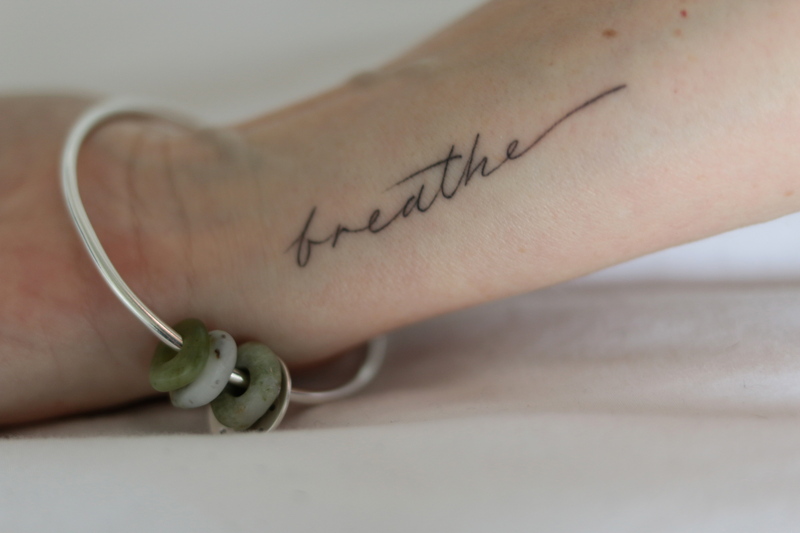 Let breathe low and slow be your mantra for 2019.